The undiscovered jewel of the Caribbean, Belize is home to unspoiled rainforest, white sand beaches and a blend of eclectic cultures. One of the most popular tours in the country is a visit to the Belize Spice Farm and Botanical Gardens. 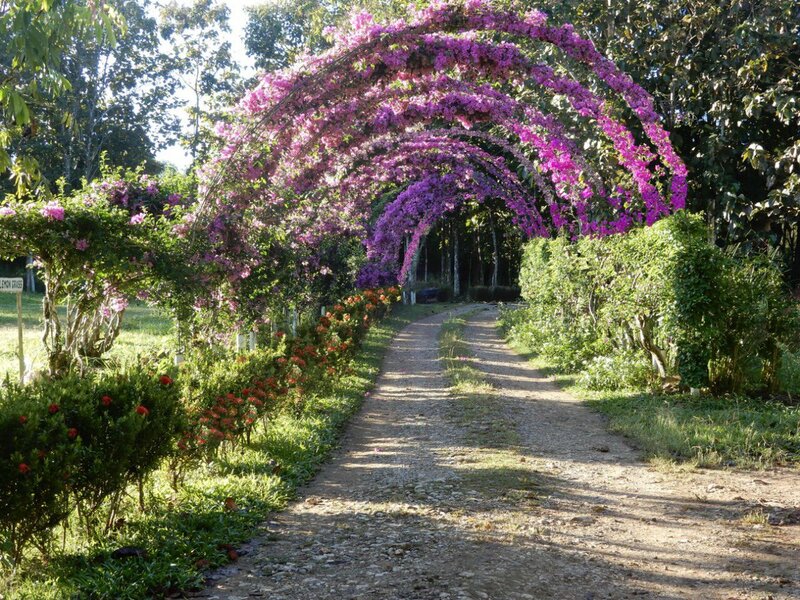 Located in the largely rural Toledo District in Southern Belize, this is an enclave of over 500 acres where you can explore an amazing array of orchards, spice gardens, and flower gardens. The smell of spices including black pepper, vanilla, cardamom, allspice, and nutmeg fills the air. The Belize Spice Farm is the only place in the country that grows these spices in addition to rare, exotic trees such as mahogany, teak, and rosewood, which are endangered in many countries. There is a huge variety of tropical, exotic and Indian fruits grown on the orchard. Experience the aromas and flavors of Surinam cherry, lychee, star apple, avocado, tropical blackberry, and tamarind. You can take one of several specialized tours at the Spice Farm. Bird-watching tour. Birds are drawn by the hundreds to the wonderful fruits and trees on the farm, and the bird-watching tour lets you spot toucans, hummingbirds, chachalacas, parrots and parakeets. Culinary tour. Spend the day learning about how spices are grown and how they end up in your kitchen. The day begins with a tour of the spice plants and a grinding demonstration. The tour includes a cooking demonstration, lunch and freshly squeezed juice. Spice and fruit tasting tour. Learn about spices and fruits as you tour the spice gardens and the orchards. The tour includes a history of the farm and of the culinary importance of spices. It finishes with a fruit and spice tasting and fresh juice. Lotus and orchard tour. This is an unguided tour that is perfect if you have limited time. You’ll see the gorgeous lotus beds, orchards and flowering arches on this short but lovely tour. What: The Belize Spice Farm and Botanical Gardens. Where: Golden Stream, Toledo District, Belize. When to visit: Open seven days a week, 7:00AM to 4:30PM. The entry fee is $25.00 US. How to visit: You can choose to walk, ride a golf cart or climb aboard a tractor. If you want to experience the best of Belize, arrange your visit to the Spice Farm with the local experts at Barefoot Services and Rentals. We will help you have an UnBelizeable vacation!